A pipeline quality inspector's and manager’s best friend. 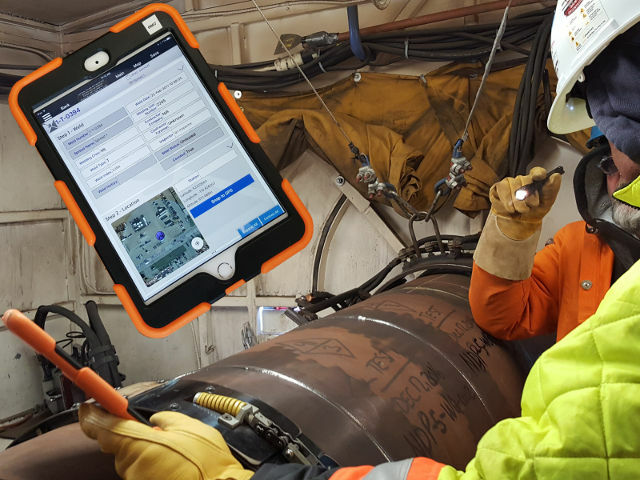 Capture inspections on pipeline projects real time across all your company’s projects from inspectors in the field using iPads. The application links to the Pipeline Enterprise server and saves your inspections when you have an Internet connection and allows you to work offline in remote locations when you don’t. 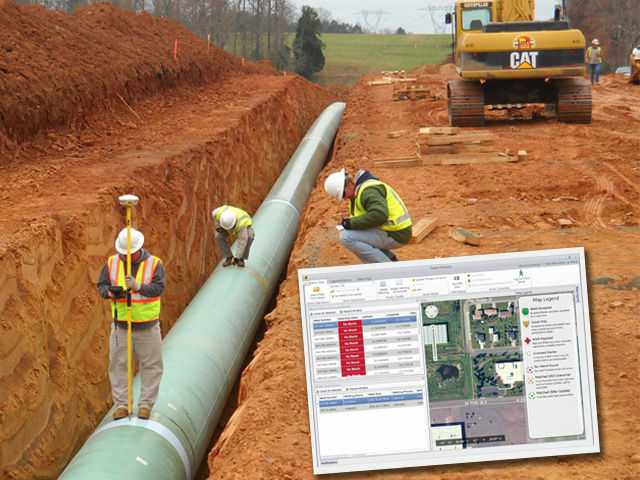 Allow a Non-Destructive Testing contractor to load and review results on a pipeline directly into the central Pipeline Enterprise database. No longer do you need to maintain two Excel worksheets to track testing progress. 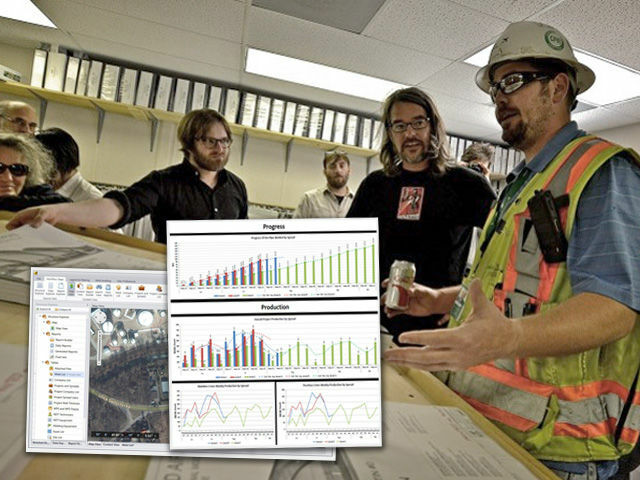 Maintain a record of inspectors and results for all your projects in one searchable location. 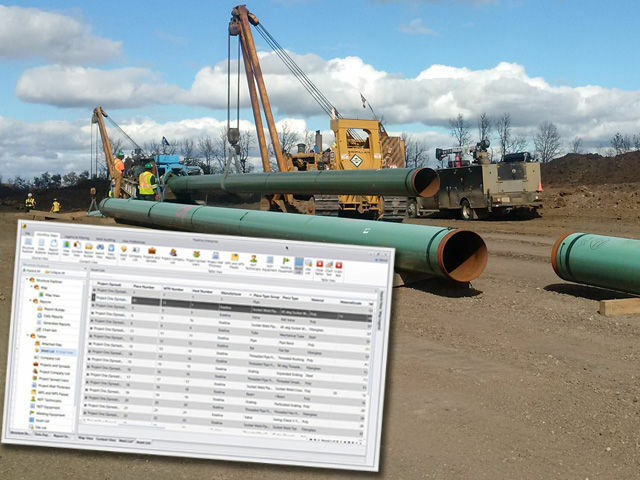 Allow surveyor contractors to import “as built” coordinates for all the welds and materials of your pipeline directly from the source. This program can read all major formats of survey controllers. Eliminate time spent combining GPS coordinates with quality control records. A tracking system for welder certification that is in accordance with regulatory requirements. Track contracted and employed welders across all your job sites. Save time by having all your welder’s credentials accessible across your entire company. Get notification before certifications expire to reduce costly secondary NDT tests. Track the details of the assets and materials that go into building your pipeline. 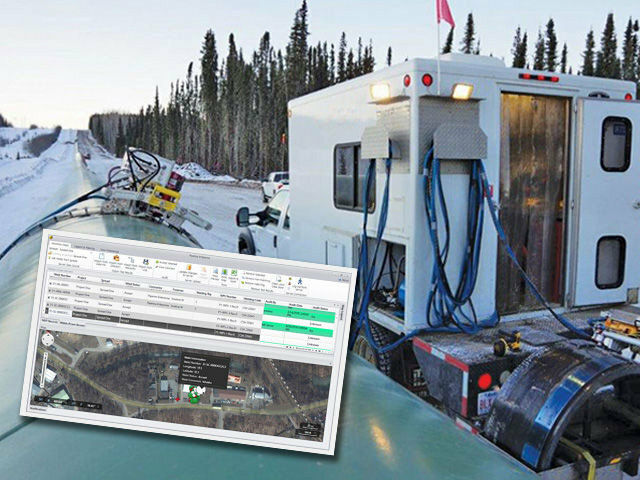 Capture materials used in pipeline construction in the field with GPS and barcode technology. Organize MTRs based off your suppliers and your own internal PO, AFE, Job Numbers and drawings. One click finds all MTRs assigned to a job and gathers them into reports for your job package. Senior and Chief Inspectors can review the inspections and reports from all the other applications. Create reports and turnover packages with the click of a button. Gain real-time knowledge of the state of any part of the construction process through searchable grids and maps. Reduce time signing papers and chasing reports from inspectors. Know exactly the quality statistics at all times, for all inspectors. 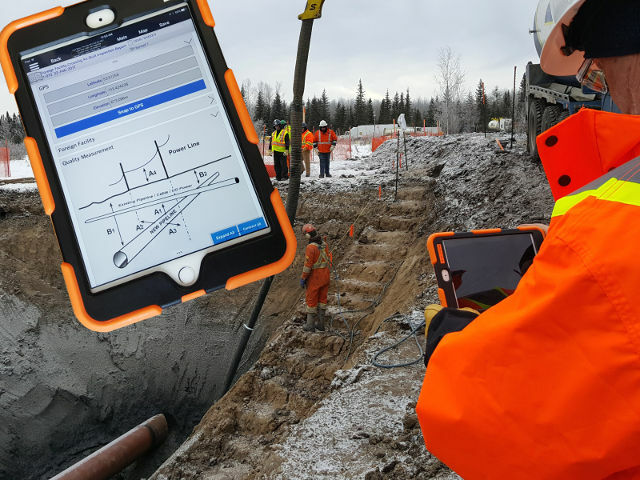 The full spectrum of Craft reports from Access at the start of the job to dig ups at the end of the job and everything in between are available for use in PE on a tablet. Reports are synced at the end of the day through wifi which enables admin staff, chiefs, and executives to check them from anywhere in the world. Keep track of progress on easy to use graphs and visual reports in your dashboard. Drill down on data by constructing your own queries. Eliminate time sifting through your emails for spreadsheets. Everything is at your fingertips wherever you open your laptop. Pipeline Enterprise keeps track of every weld by GPS location making them easy to locate for repairs, as well as being listed on a detailed map, color coded. 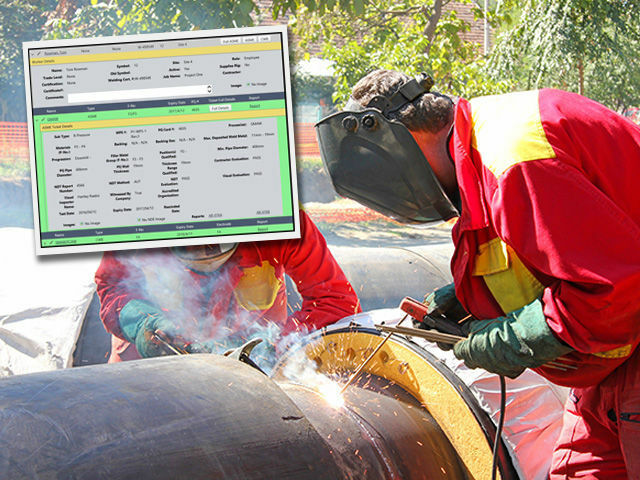 All welding reports are quantified by the system and statistics are available through extensive visuals in your dashboard. Know your repair rate and keep one step ahead of unforeseen circumstances. Track performance and progress from your office, wherever you are in your busy workday, on multiple spreads. 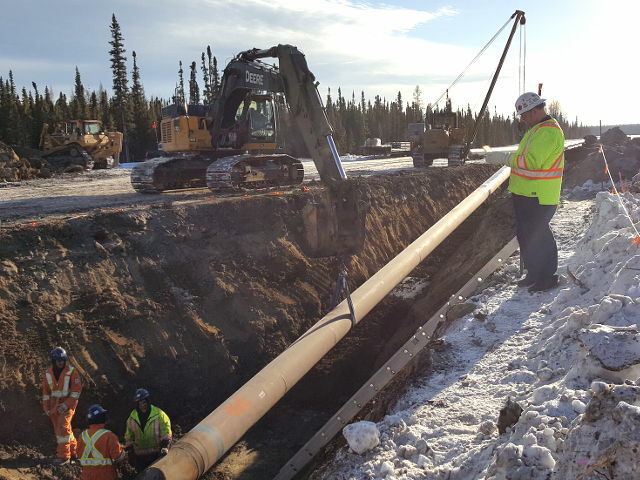 Working with the pipeline inspection app from Pipeline Enterprises has enabled inspectors to capture and document inspection data in real time. It is a digital journal with additional functions related to craft inspection.